Paul Hengstebeck of Laguna Beach, California recently finished producing his video of a Monarch caterpillar metamorphosing into a chrysalis and ultimately into an adult butterfly. You may remember his initial video we saw a few weeks ago. Paul also opened a Google+ page showcasing some of the lovely photos he's taken of Monarchs. Very common, it is one of the first butterflies to be spotted early in the season. Will overwinter in Southern California, and can be seen almost every day of the year when the sun is shining. 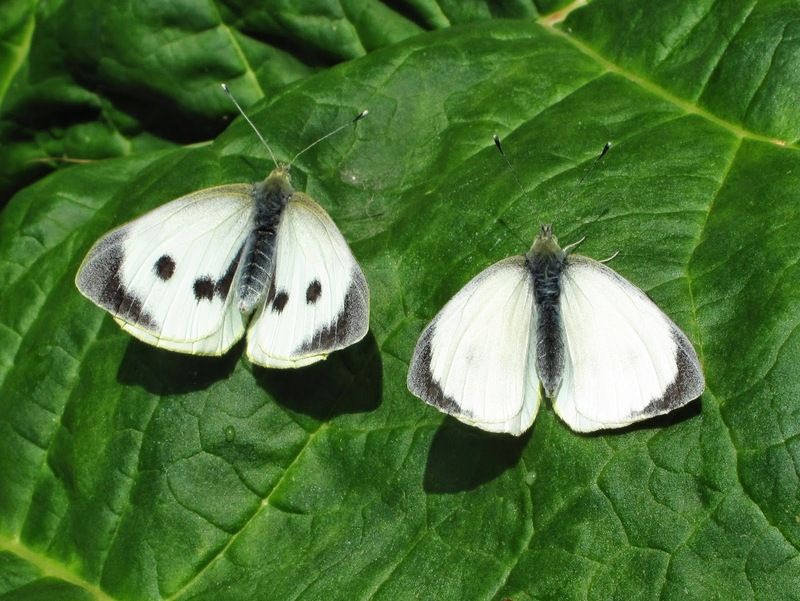 Cabbage White, Pieris rapae. Male, left; female, right. 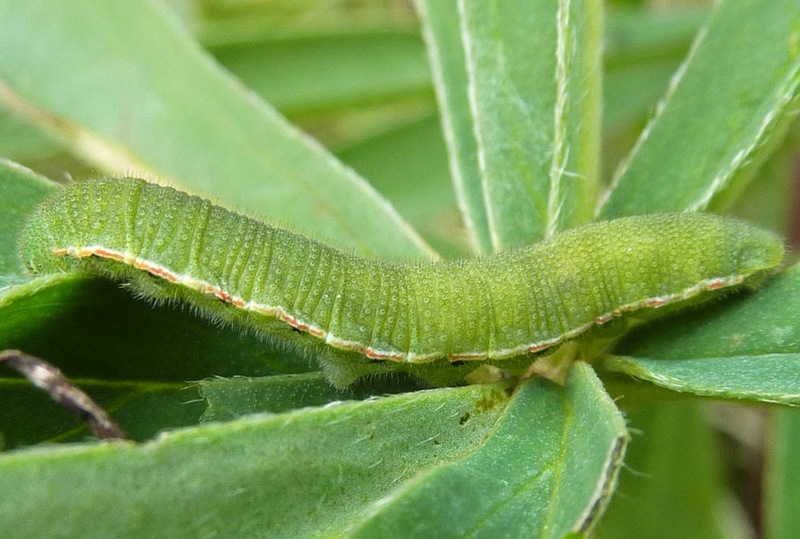 Cabbage White caterpillar. Somewhat variable in color and markings; mainly green. The larvae if left unchecked, will riddle members of the cabbage family with holes and frass, making for unmarketable produce and less than desirable veggie garden table fare. For those wishing to enlist more environmentally friendly alternatives to dispatch these critters from your plants, hand picking is effective, although sometimes cats will bore deep inside cabbage heads, making it almost impossible to extricate them. 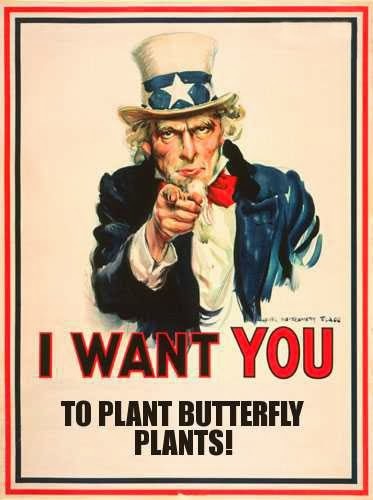 A very effective IPM strategy is the use of Bt, but beware, fellow butterfly aficionados; it will affect other caterpillars in surrounding areas if accidentally introduced. I've found them eating the buds of zonal geraniums, besides cabbages.They are also known to attack nasturtiums. 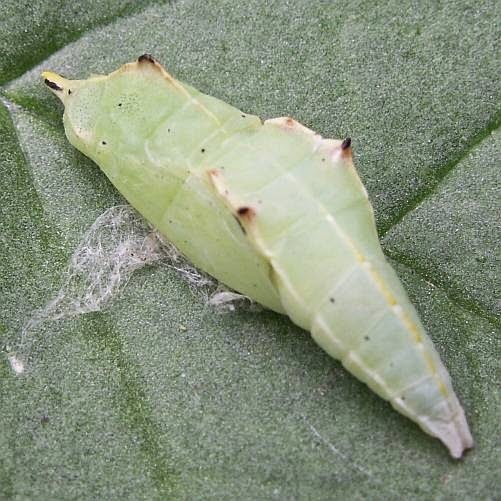 Cabbage White chrysalis. Variable in color from green to brown.